Happy Happy Friday! It's been awhile since I did a Friday Favorites Post, and I need to get back to it because this has become one of my very favorite posts (and I love all the feedback I get from my readers!). Next week is St. Paddy's Day! I love this holiday because it is fun and because it really signals the start of Spring! I don't think that I am the world's best cook or recipe creator by any stretch - but my Irish Soda Bread is hands down the best I have every tried! It's sweet, has a great crust, and is not dry at all. In fact you can eat it without butter. 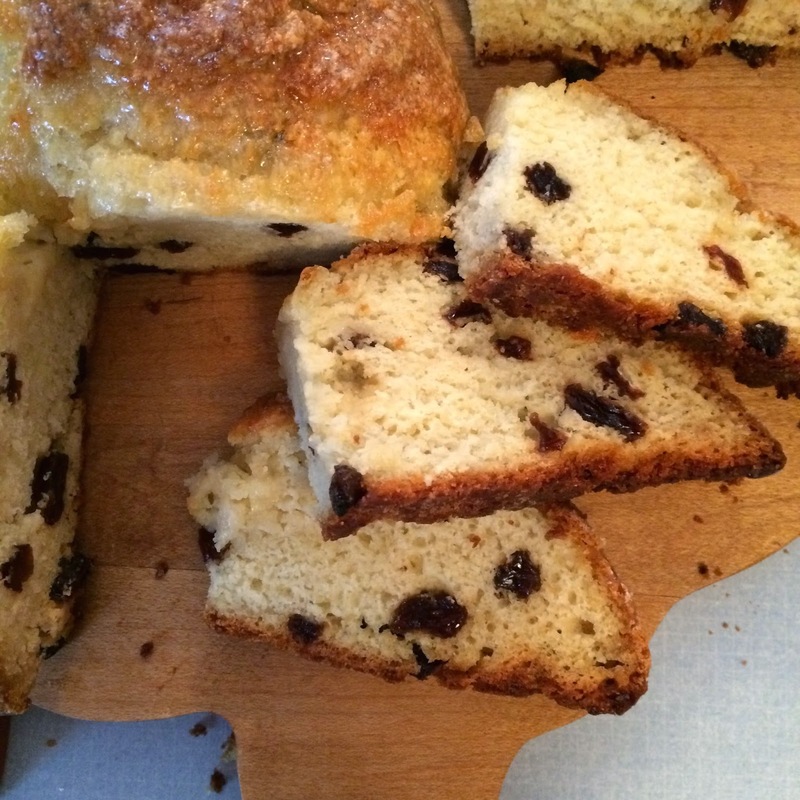 If you think you don't like Irish Soda Bread, you need to try this recipe! And if you love Irish Soda Bread, you should make this version ASAP! Bonus - it makes two loaves! I made it yesterday...we're down to only a half of a loaf! Can you tell that she likes it?!? Even though we love PINK in our house, it's fun to dress in green for St. Paddy's! 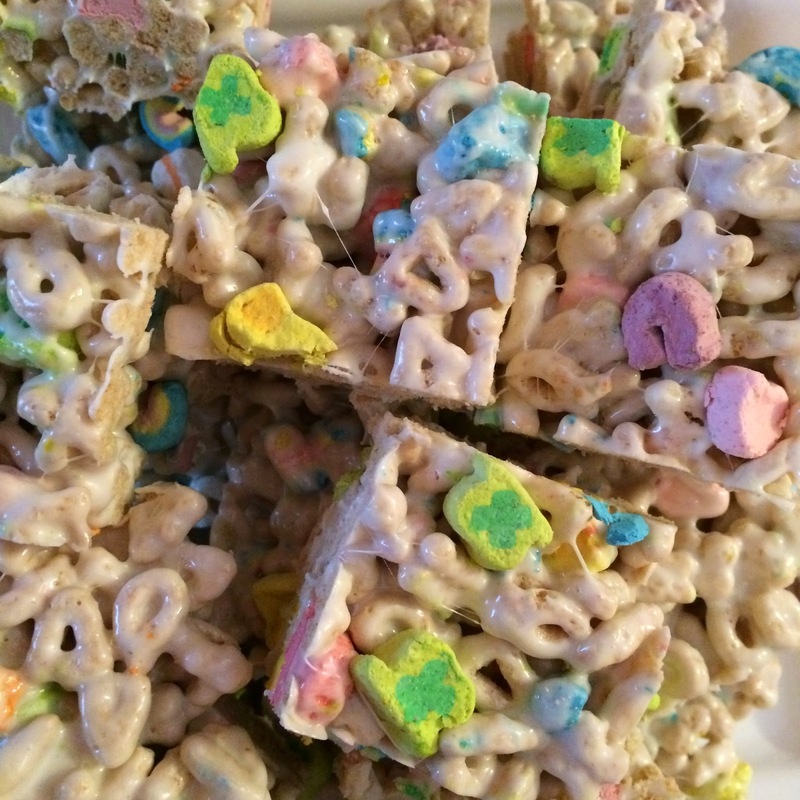 Last year I made these perfect no bake Lucky Charms Treats. They are basically Rice Krispy Treats but you use Lucky Charms cereal instead. They are so simple - even the kids can help! On my Not Friday Favorite List is the fact that I am headed to the pediatrician with Sweet Little Paisley Jean for two shots! UGH! 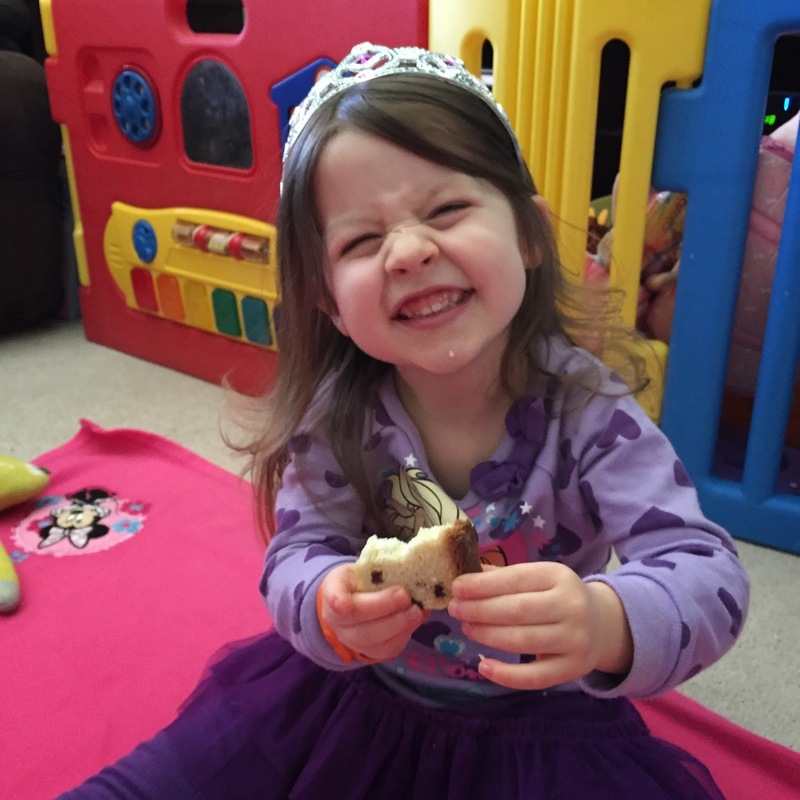 Linking up with Momfessionals for my Friday Favorites today! I'm definitely going to try making those Lucky Charm treats! I also love dressing my kids in cute holiday shirts. They will be all decked out on Tuesday!